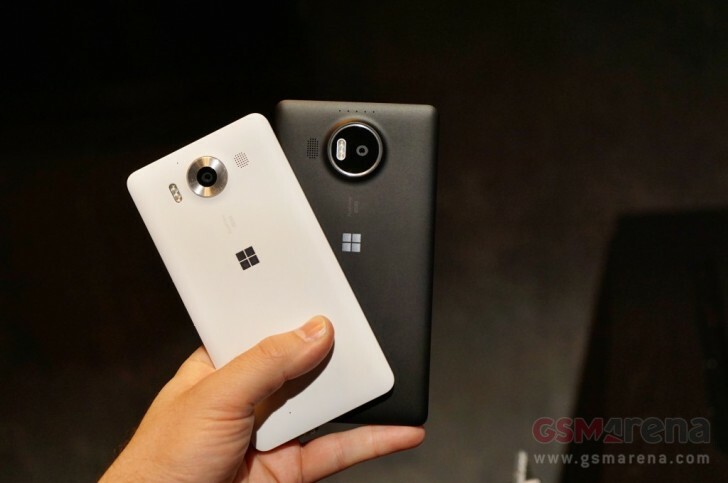 Microsoft has wrapped up its big event only a few hours ago, unveiling the Lumia 950 and Lumia 950 XL. These two smartphones will be the flagship Windows 10 Mobile offerings for the foreseeable future, which is why quite a few people may want to purchase them when they become available next month. However, if you're in the US you'll be out of luck unless your carrier of choice happens to be AT&T (or you don't mind switching). That's because the Lumia 950 duo will be exclusive to this particular carrier. Microsoft (and Nokia before it) has gone the exclusive carrier deal route before, but none of its competitors are still doing this for their top of the line devices. Yet the software giant considers this to be "the best distribution for this family of devices", according to Tuula Rytila, corporate vice president of marketing for phones and new devices. Microsoft apparently thinks it will get a better marketing push for the handsets from AT&T if it's the only carrier selling them. The bad news thankfully doesn't extend to Europe, where the Lumia 950 and Lumia 950 XL are reportedly going to be widely available. UPDATE: The source of this information has since issued a correction, now saying that "the deal between AT&T and Microsoft for the Lumia 950 is not an exclusive one". So if other carriers are interested, they can get it too, one assumes.